Our offices are committed to the best quality of care for patients of all ages. Here is some helpful information to make your first visit go smoothly. Dental fear is a hidden phobia, like many people, you may be embarrassed to admit your fears and even more afraid to confront them. Starting your children out with a positive experience is our #1 goal. Ask us about our "Happy Visit"
Veneers are an excellent way to redesign and reshape your entire mouth.They are a very thin ceramic shell that covers your existing tooth structure. An important quality of a beautiful smile is straight, even, and properly-aligned teeth. For patients who would like straighter teeth, Our doctors recommends treatment with Invisalign®. A tooth may need to be extracted because it is severely decayed, has advanced periodontal disease, or has broken in a way that it cannot be restored. For your convenience, our dentist office is available for emergency appointments and can treat your situation immediately. Why choose Hadley Family Dentistry? 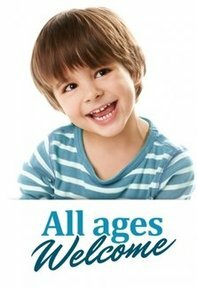 Hadley Family Dentistry is committed to the best quality of care for patients of all ages. Our offices provide a full range of cosmetic treatments to help you achieve a healthy, confident smile.